Idorenyin “Doren” Samual is the owner of a flourishing business in the city of Uyo in Akwa Ibom state in Nigeria, supplying purified water sachets to the local universities, shops and market traders. Doren is also a mentor to other women entrepreneurs, who have learned from the challenges she has overcome along the way, including establishing herself in what is a male-dominated sector in Nigeria. Despite being a role model and inspiration for other women, Doren is clear on how her business has been enhanced through her use of Business Women. The text messages introduced Doren to the idea of sending her customers Easter and Christmas cards and using this opportunity to undertake customer satisfaction surveys. This exercise revealed what her customers love about the business – including the eye-catching attractive packaging – but also where they would like to see improvements, such as an improved delivery service. Doren learned from this feedback and is now planning to recruit an additional driver to divide the deliveries between rural and suburban customers. 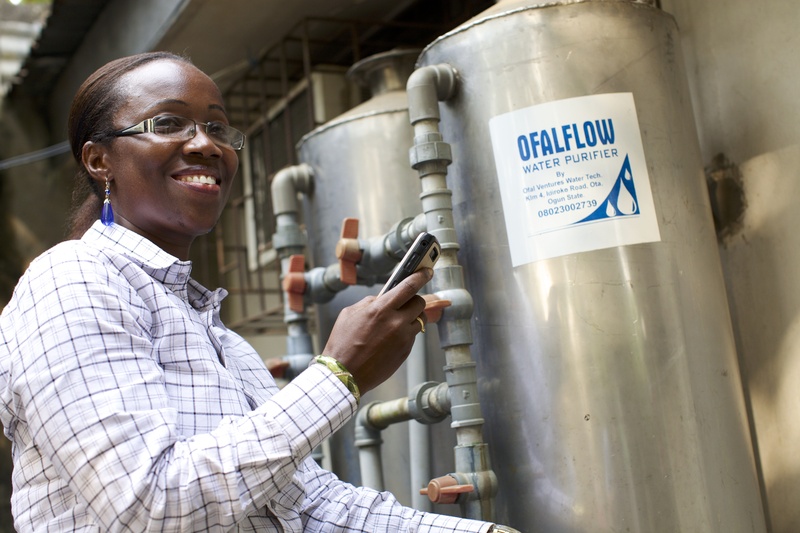 Aniema Eden owns Rasa Ventures, which sells frozen meat and fish, ice blocks and purified water. It occupies a shop on a busy street in Uyo in Nigeria, so enjoys regular customers. The business also specialises in providing products for large scale events, such as weddings, funerals and parties. Aniema wants to use what she has learned to help other women and has established the Women Leaders Forum, a group of successful women from both business and the public sector who provide support to women in the rural areas surrounding Uyo. Ijeoma Ewurum, a mother of nine, lives on a compound on the outskirts of Aba in Abia State. 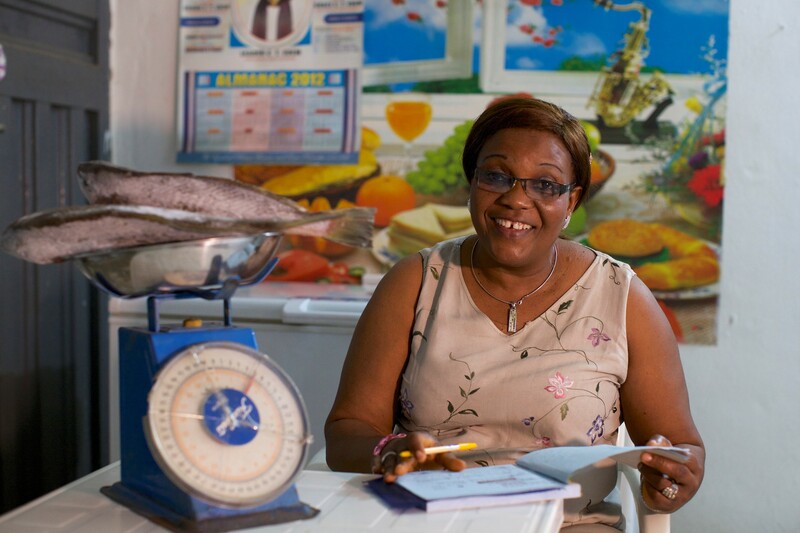 Keeping poultry had always been a hobby for Ijeoma, and she was able to focus her energy into making it a business after she retired in 2013 from a long career as a teacher. In under a year Ijeoma has become one of the most trusted egg suppliers in the area, particularly popular with bakers. Her good reputation is thanks to the high quality of her eggs and she attributes this to the Business Women service. It was the Business Women text messages she received that focused on innovation that encouraged her to take measures to improve her eggs. 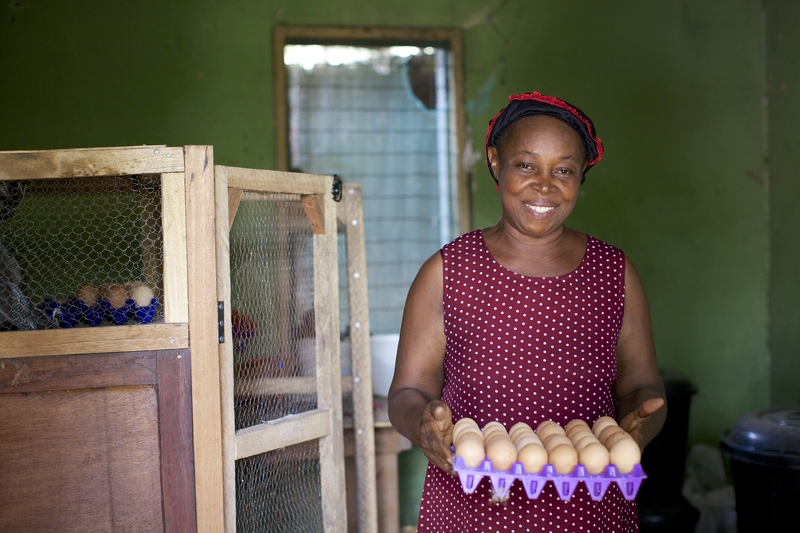 The impact of these lessons have come together: Ijeoma is now saving the extra money she is making from her improved eggs to invest in growing her business. Her plan is to scale up production so that she can start selling to hotels and restaurants.